Inadvertantly I'm evolving into being a 3D expert. 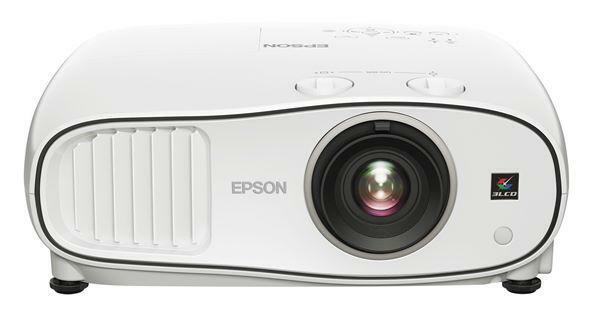 My 720 2D projector needs to be replace, I have chosen the 1080 3D Acer 9500. But alas there are a couple bugs in that machine which are just about to be fixed by an eprom upgrade. So I waited. In the meantime I bought a Sony 3D helmet. This is a device for people with small heads. I have bought two bike helmets to use to modify it for a better fit. Last week the workmen broke my projector so I needed an interim TV. My Man-Cave is wired HDMI so I couldn't just pick up an old CRT TV from Craig's List. I bought a new 32" flat screen TV. I chose a 3D model. It was only about $50 more. So now I will have all three 3D technologies - active (from the DLP projector), passive (from the LCD TV), and OLED (from the Sony helmet). I just stumbled into this. It was not planned. The other night I rented "John Carter" from Comcast Cable in 3D. It was in Top over Bottom format. Last night I watched one of the latest "Pirates" movie from Starz (free for subscribers). It was in Side by Side format. I had watched the latest "Underwold" movie from a rented 3D Blu-ray. Observations: The helmet was so tight it tore the skin on my nose when I put it on. This won't do. If my home made modifications don't fix that I'll never wear it again. The Blu-ray picture however looked great. The pain level was too high for a more detailed analysis. The 3D movies from cable however were a complete success. Both of these big special effects movies were more enjoyable in 3D. This is now my preferred was to watch such fare. Most movies on Netflix or Comcast or Amazon are $3.99 for SD, $4.99 for HD, and $6.99 for 3D. IMHO 3D is worth it. I should mention here that I probably watch more B&W movies from the thirties and the forties than I watch 3D blockbusters. However I think there is another factor which I haven't seen mentioned before. All things being equal I think you need a bigger picture for 3D than for 2D. That's why I'm going to buy the projector. 3D needs a screen big enough to be emersive. What you get with 3D on a 32" TV is the drama playing out in what looks like a fish tank. It's little like watching a live play from above the first row. A 2D screen is just a convention. That's not waht the real world looks like. A 3D screen is another but different convention. Neither are exactly reality. I like the 3D experience at least for certain material. I'm eager to see some 3D sports.